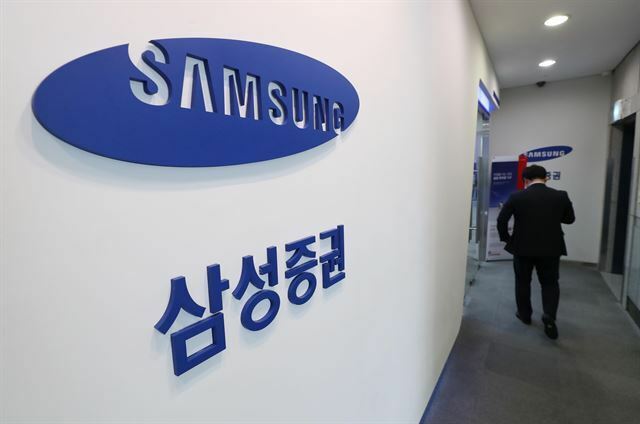 Samsung Securities Co. said Friday it voluntarily withdrew its application for the right to issue promissory notes following state penalties over its recent fat-finger chaos. The local brokerage firm has sought state approval since July last year for a license for the issuance of promissory notes in a bid to expand its business scope by taking on a role as an investment bank. In a regulatory filing, Samsung announced the decision of its revocation, which was made "in consideration of market conditions and corporate circumstances," adding that whether it will make further attempts "will be decided later after factoring in the relevant conditions." Samsung Securities is banned from pushing for new business until July 2020 as part of state punitive measures for the April incident in which the firm mistakenly paid 112 trillion won ($99.51 billion) worth of stocks to its employees as dividends and 16 employees sold off a combined 5.01 million in ghost shares, causing market chaos and losses to investors. The issuance of promissory notes is one of the key business operations open to IBs that have more than 4 trillion won in capital. Last year, the government gave brokerage firms the green light to pursue this business to nurture large investment banking entities.